Peterborough United have released young prospect Shaq McDonald by mutual consent, seven months after the striker signed a four-year deal. The 17-year-old joined Posh from Chasetown at the end of 2012 and became a prolific scorer for the youth team. He notably notched 11 goals in three consecutive appearances. 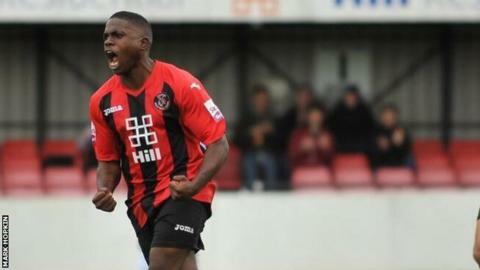 The frontman, who scored twice in three games while on loan at Histon this season, was rated highly by chairman Darragh MacAnthony. Peterborough have said they will not be commenting on McDonald's exit. He follows fellow youngster Jevani Brown out of London Road, who was released last week, while striker Jannai Gordon has been training with West Ham.